In these courses students learn the skills needed to score well in these exams. Students take practice exams under test conditions, work with the instructors on each section of the SAT/ACT exam individually, in small groups, and as a class, and receive instruction in techniques they should use for the questions in each section. All the materials students need for the class – practice exams and practice questions – are provided by Arete Educational Services. Our team believe it is very important that students know their strengths and know what they can do better. We also believe that parents/guardians should be part of this conversation. 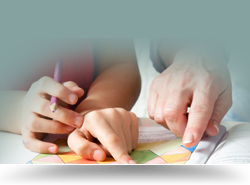 To facilitate this, the instructors will hold an assessment session of at least fifteen minutes with each student and his/her parents/guardians on the last day of the class – what Arete Educational Services calls the Parent/Educator Session. Interested in having a class outside the times listed below? Call the Arete Office (707-546-3110): let’s try to work out a schedule! Sundays in October and November 2018: Exact dates to be announced soon!